St. Anton im Montafon (650 m) is a peaceful and family-friendly resort, lying at the entrance to Montafon Valley. All the facilities you could wish for in an active winter holiday are available in a radius of 2-6 km. 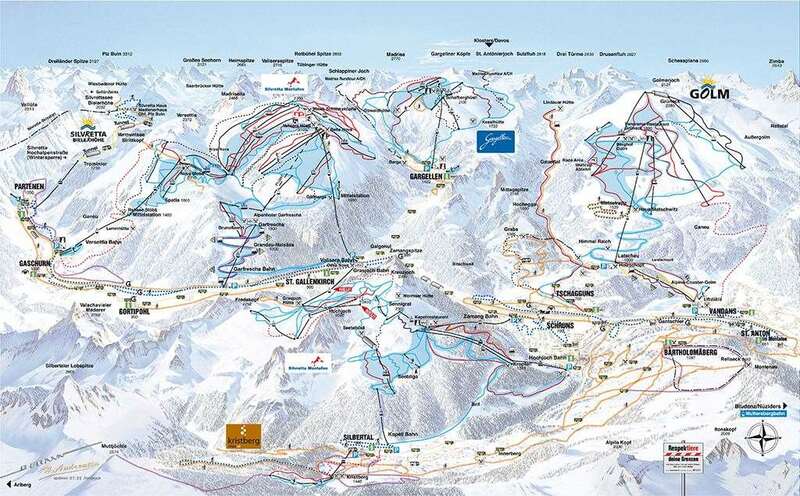 Golm ski area is just 5 minutes away by free ski bus. The ski regions of Hochjoch, Silvretta Nova and Gargellen can be reached quickly and comfortably by public transport services. Cross-country ski tracks to Schruns are also open depending on snow conditions. This little village forms the 'Three Magical Villages' together with Bartholomäberg and Silbertal. The Montafon Alpine valley is 39 km long, its 11 villages, which offer 18,000 guest beds, lies at altitudes of between 600 m. and 1,450 m., surrounded by mountains as high as 3,312 m. (Piz Buin). Winter transforms this Alpine valley into a fabulous ski arena. 62 cable-cars and chairlifts, 222 km of sign-posted and tended pistes, ski touring on Silvretta’s white glaciers. Montafon’s ski pass is an all-in-one ticket for all the valley’s cable-cars and ski-lifts, the Bludenz - Schruns railway route and the valley’s post busses. Many but not all of the pistes have snow making facilities to help contribute to natural snowfall for guaranteed skiing and snowboarding throughout most of the winter season. With over 100 km of cross-country skiing tracks, 290 km of winter footpaths (partly illuminated) and snow-shoe hiking trails, sports and natural toboggan runs (some floodlit), 10 ski schools, 8 ski kindergartens, a covered artificial ice rink, 2 tennis halls and plenty of après ski make for a memorable and active winter holiday. 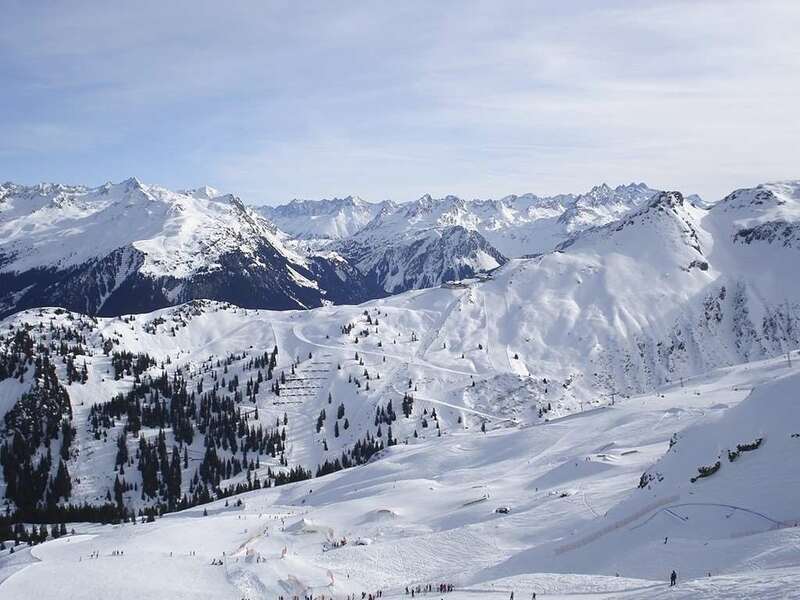 Tourists can arrive into Montafon within a few hours drive or bus transfer from airports Friedrichshafen, Innsbruck and Zurichare.